So why did I have one in my house? Doodle Dad brought it home because he “thought” he was going to use it in a recipe. One look at my face and he decided not to improvise or deviate from the original recipe. Mr. Avocado has been residing in our refrigerator veggie bin ever since. Rather than let the avocado go bad in the fridge, I could serve it with their dinner. But first – since this was a “new food” – research was in order. I could not make heads nor tails with the information I found. Some said yes – while other’s said no and Doodle Doc had gone home. Leaves, bark, seeds, skin and pits of the avocado contain a natural, oil soluble fungicide called persin. Persin’s toxicity effect on animals depends on the species of the animal. Those of us us whose canine and feline companions enjoy the occasional avocado indulgence can breathe a sigh of relief: persin does not adversely affect dogs or cats. The primary danger of avocados to dogs and cats concerns the possibility of swallowing the large pit, causing blockage or obstruction in their esophagus, stomach or intestinal tract. The toxicity of this fruit comes from the persin that it contains, but this affects horses and birds much more than it will your pet dog. It’s important to prepare avocados by removing the seed and skin. Keep in mind this fruit is very fatty and will pack on the pounds. Provide only small portions to see if your dog’s digestive system agrees with avocado. Source: Can I Give My Dog…? Since the ASPCA placed avocado’s on their “do not eat” list. Almost every article warned that the fruit is very fatty. Even though I read avocado meat in moderation and small servings may be fine for your dog, I saw no compelling reason to add it to our menu. You can’t miss what you’ve never had! Vet Disclaimer – I am not a veterinarian. I’m a pet parent always interested in understanding more about my dogs. Can I give my dog avocado? Avocado’s – poisonous to companion animals or not? Mom doesn’t like them, so we don’t have them in the house. Some foods are just better left elsewhere, rather than taking any risks. Well as soon as I can find a home for these two – I won’t have them in the house either. My neighbor doesn’t eat them either – apparently this is one fruit that is not as popular as I thought! My dogs don’t get avocados because I rarely have them although I love them. I slice them up, sprinkle with salt and pepper, and go to town. Yummm. 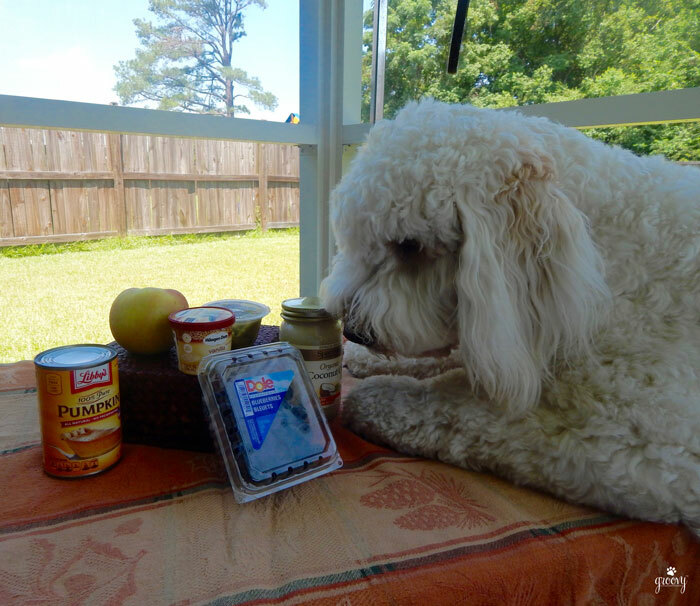 Our dogs get many of the same things your dogs eat. I have blueberries in my garden – wow, they taste good when they’re fresh – and I’m excited about the pumpkin that’s growing. Just one this year. I plan to use the seeds as a natural dewormer. The rest of the garden is pretty much for the dogs too. Too bad you don’t live close – I’d drive them right over! I’m tempted to start a garden. We inherited the strawberry boxes in the backyard, and the boys really enjoyed them. I plan to give them some cucumber today for the first time – not sure if it will be a hit or not – we’ll see. Please write a post about the seeds – I’m intrigued. Ohhhh I am a huge avocado fan and am missing them out here in PA. They were in crazy abundance in Colorado. The doodles here have never really liked any vegetables of fruit. No carrots, no green beans, no bananas. They are meat and potatoes kind of doods. Next time send those avocados my way! Well, I am also one of the few people not on the avocado train. I HAVE tasted them, but I don’t like them. My boyfriend eats them, so they are around here sometimes but I’ve never given any to my pets. I knew they were for sure bad for birds, but the dog/cat thing still seems to be largely undecided. I think I’m with you though. Don’t think Shiner is missing out too much. Oh, I love avocados! And my dogs do too! After careful research, we tried AvoDerm that contains avocado in it and my dog’s coats are definitely softer and shinier. They say that healthy skin and coat is an obvious indicator of a dog’s health. I can even give it to my little allergy prone dog, Nelly, without adverse effects. The ASPCA has reevaluated avocados and lists them as non-toxic for dogs and cats. http://www.aspca.org/pet-care/animal-poison-control/toxic-and-non-toxic-plants/avocado. 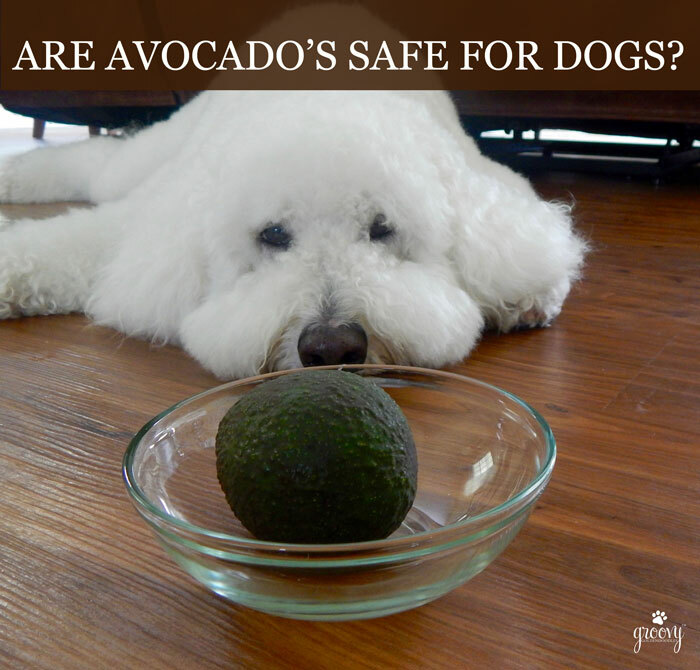 I’m not saying you should give them to your dogs, but avocados are considered a superfood for people, dogs and cats. I just wrote a sponsored post about AvoDerm today. AvoDerm is a great food!! 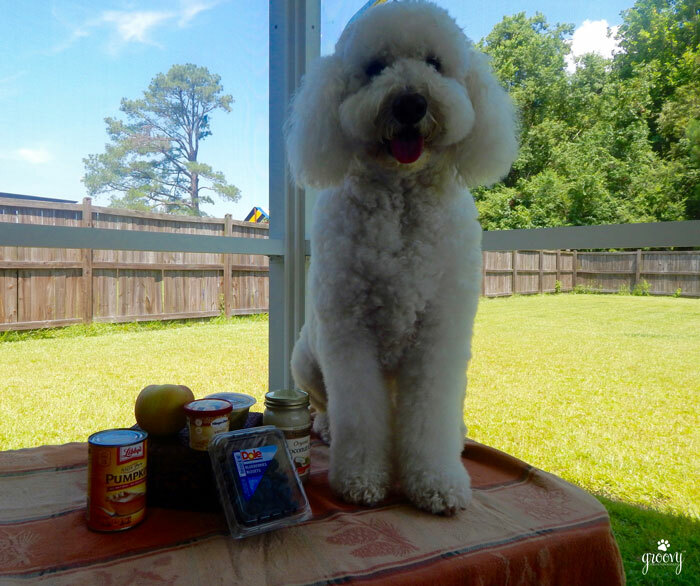 – I was considering it years ago when the Boys were eating dry food. I ended up selecting Acana (another great kibble). I’m sure small amounts of avocado are fine, but I just never found enough compelling information to persuade me to give it a try. I will check out your AvoDerm post today! Luke might like to try some avocado, but the girls are fine on passing on any old fruit or vegetable! It’s been my understanding that it is just certain parts of avocados that are bad. But like you, I don’t eat them myself so they’re not likely to wind up in my house. However, we do buy some avocado treats that the crew loves. But avocado is not the first ingredient either, so I think it might be one of those things that is OK in moderation? I’m with you though….if there’s any doubt, then they don’t get it. I always go with “better safe than sorry”. I am kind of an avocado addict. Ruby would probably never a chance to try avocado because I would EAT IT ALL before she even had a chance. 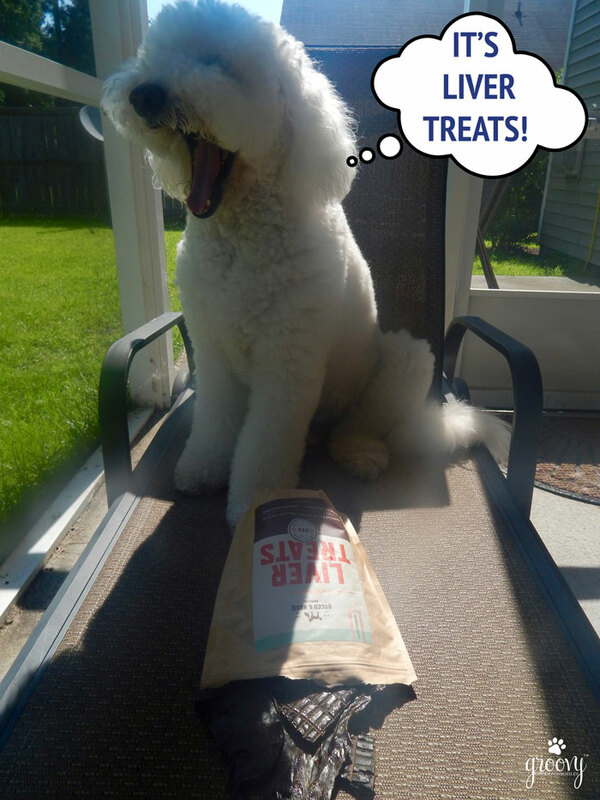 They (humans) say it’s an acquired taste – and if you like it – you love it, and can’t get enough of it….. I love them so I wouldn’t share with the dogs. Thanks for this information. Oh JoAnn – I wish you were closer – I’d give you mine! Thanks for doing the research. My dogs will never know what they are missing. You, however, might want to give it just one try. Avocado is quite and rich in omega 3 fatty acids. You’re not the first person to try and tempt me to take a bite. Perhaps I was forced to eat it as a child and it left a negative impression deep in my subconscious – who knows, I just have never been attracted to it – at all. I will leave the avocado’s to those who truly enjoy them! Thanks so much for coming by – I will visit house cleaning by custom maid! Take care! I have wondered about avocados too!! Thank you for sharing this useful info! Luckily I haven’t fed this to my dogs before! But you, Doodle mom and dad, should try it! It’s very tasty with a bit pepper :D!